When comparing prices on rotary hammer concrete drill rentals in Campbell, San Jose and Santa Cruz, ask about sales tax and environmental fees. 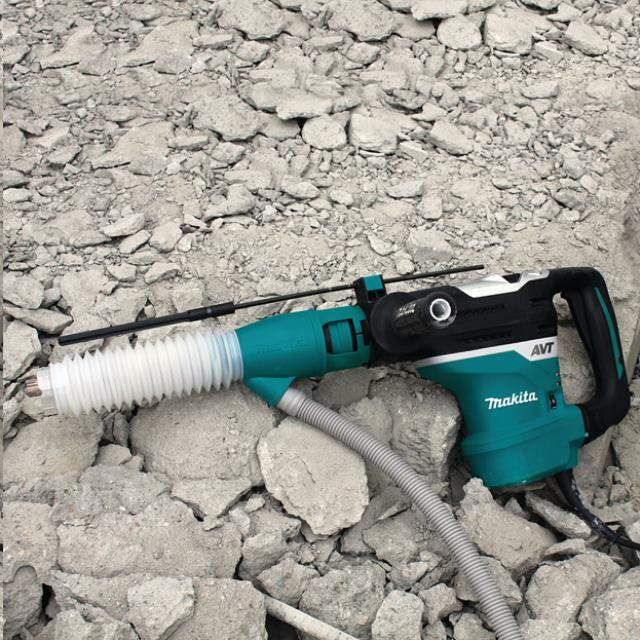 For drilling holes in concrete where silica dust control is paramount this SDS-MAX rotary hammer is engineered with enhanced Anti-Vibration Technology (AVT ), a synchronized three-component system for significantly less vibration. 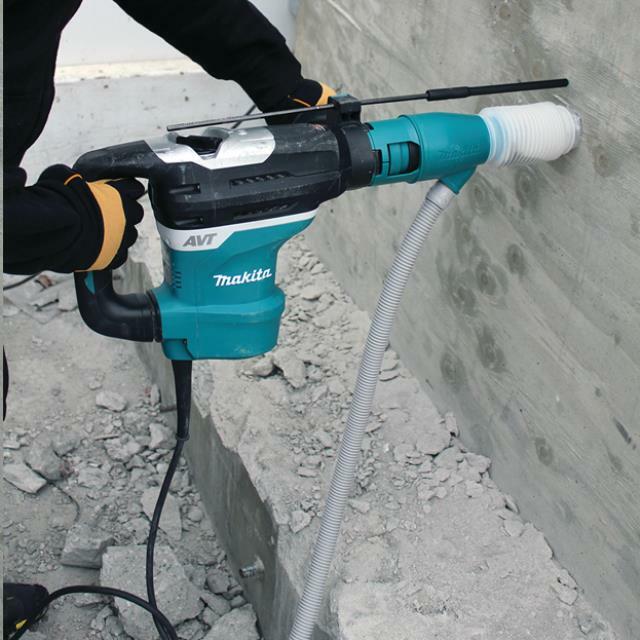 The Makita Dust Extraction Attachment is engineered to reduce the dust created from concrete drilling when used with a job site vacuum. 8.4 ft/lbs of impact energy for faster drilling. * Please call us for any questions on our concrete drill with osha dust collector rentals in San Jose, Campbell, Salinas, Santa Cruz, Watsonville, Morgan Hill, Hollister, Santa Clara, Gilroy, Milpitas Sunnyvale, Fremont, Salinas, the Greater Bay Area and the Monterey Peninsula.